Designed by Studio RK for Robert Kaufman Fabrics, this cotton print is perfect for quilting, apparel and home decor accents. Colors include brown, blue, red, and yellow. Another beautiful addition to our other fabrics in this line of fabric from Robert Kaufman. A great addition to any western quilt or home decor. 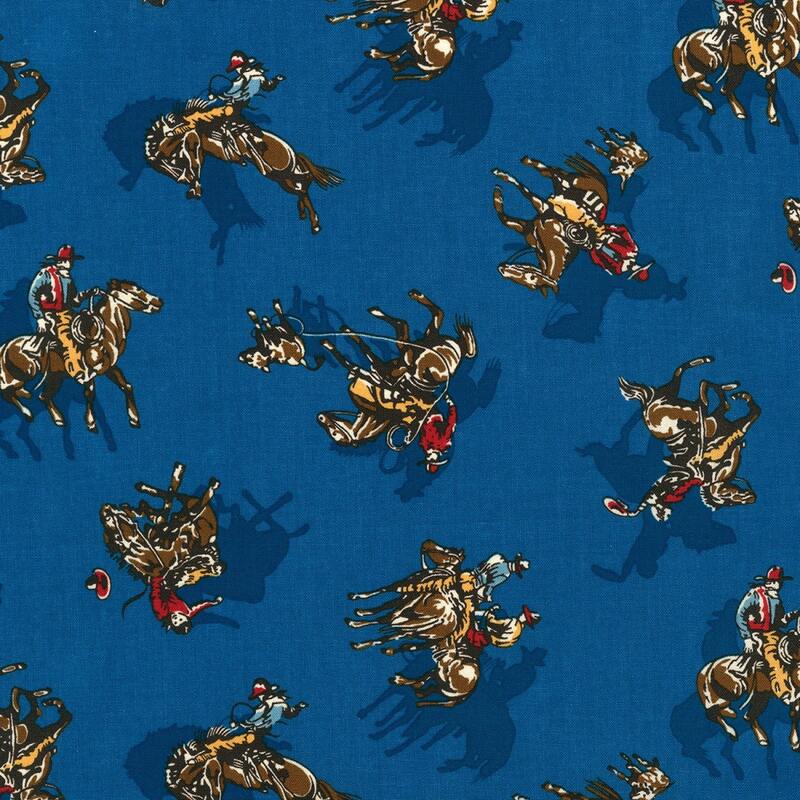 Quality cotton fabric from Robert Kaufman is always a guarantee. All fabric from The Quilted Nursery Fabric Store is cut directly from the bolt and sold by the yard. For special yardage please contact The Quilted Nursery Fabric Store and we will gladly fill your order.